We offer two Workplace Safety & Security Programs (PSAS) for Government Agencies, Corporation or Small Businesses to groups of 8-20 employees. The two programs are instructed at the your agency/company or at our training facility in Burnaby. 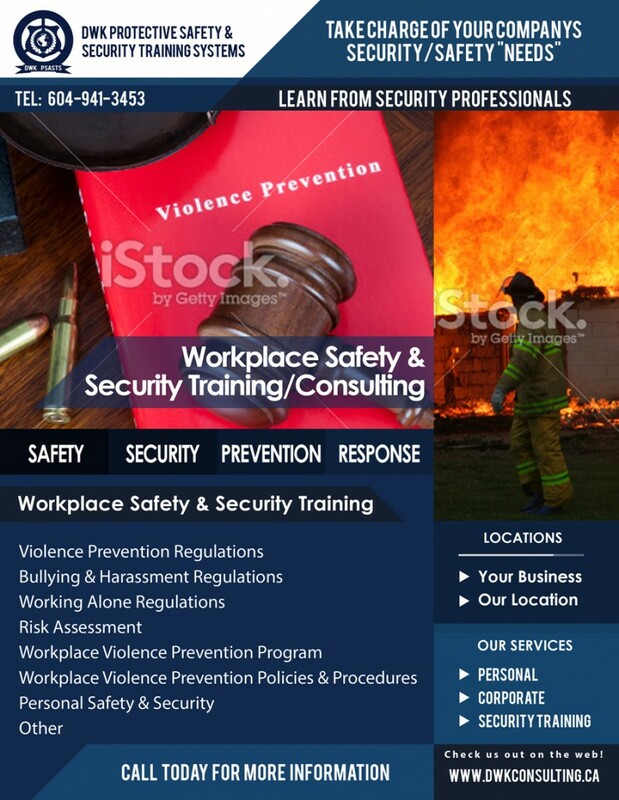 ☑ This unique program is designed to provide managers, supervisors and enforcement/security officers with information (consulting) to eliminate or minimize the risk of violence in the workplace. ☑ The program is designed to provide managers, supervisors and workers with information (consulting) to eliminate or minimize the risk of violence in the workplace. ☑ We offer a 2 -4 hour seminar or 8-12 hour program pending “Client Request”.